You may or may not be receiving the Disability Tax Credit. You may or may not have recently heard that people living with insulin-dependent diabetes can qualify. Here is the summary of how the changes first can to be and the legislative changes that we were able to create at that time.  Where the therapy has been determined to require a regular dosage of medication that needs to be adjusted on a daily basis, the activities directly involved in determining the appropriate dosage will be considered part of the therapy.  Therapy does not include activities such as following a dietary restriction or regime, exercise, travel time, medical appointments, shopping for medication or recuperation after therapy.  The time it takes to administer the therapy must be time dedicated to the therapy—that is, the individual has to take time away from normal, everyday activities in order to receive the therapy. Further, in the case of a child who is unable to perform the activities related to the therapy as a result of his or her age, the time spent by the child’s primary caregivers (i.e. parents) performing and supervising these activities for the child can be considered time dedicated to the therapy. With these proposed changes, it is expected that children with very severe cases of Type 1 diabetes—who require many insulin injections (which requires knowledge of current blood sugar levels at the time of each injection), as well as several additional blood sugar tests to monitor their condition—will become eligible for the DTC. The life-sustaining therapy provisions, in and of themselves, do not extend eligibility for the DTC to individuals who receive therapy in a manner that does not significantly affect their everyday activities (for example, by means of a portable or implanted device). The exclusion of the determination of the number of carbohydrates in order to calculate the insulin dosage in the proposed legislation is a restriction that has no medical basis and defies common sense. Calculating carbohydrate intake and calculating the insulin dosages are inextricably tied together. They cannot be separated. One can’t be determined without the other. Any effort to do so can result in death and criminal charges. The budget legislation passed through the House of Commons, and is now going through the Senate (and its passage should be perfunctory since it is part of a money bill). It then needs to be signed by the Governor General before it is finally law, however CRA has already started it’s implementation process internally. They always said they would be ready for September implementation roll-out of the changes, and from our position, it appears they are more or less on track. 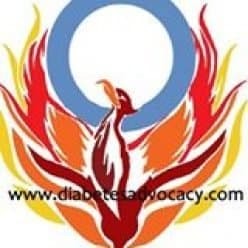 There are still a lot of outstanding issues regarding the fair treatment of people with Type 1 diabetes. We will be keeping on top of the issues and the process. We will work to keep CRA accountable for their actions. Please keep us informed as to what is happening with your case. reapply in the 2005 tax year. Patience now should mean that you will be given the credit for a longer period of time–for children this should be until they reach the age of majority. In the budget released on Wednesday, February 23, 2005 the Honourable Minister Ralph Goodale noted that the federal government would accept most of the Recommendations put forward by the Technical Advisory Committee on Tax Measures for Persons with Disabilities. The budget proposes amendments to the Income Tax Act to better define the activities that will be considered therapy and will be included as time spent receiving therapy. considered part of the therapy. regime, exercise, travel time, medical appointments, shopping for medication or recuperation after therapy. These measures will apply for the 2005 and subsequent taxation years. factor in determining the daily dosage of medication), travel time, medical appointments, shopping for medication or recuperation after therapy. This subsection is applicable to tax years 2005 and beyond. Excluding the determination of the number of carbohydrates in order to calculate the insulin dosage is a restriction that has no medical basis. It certainly defies common sense. Such a restriction has no foundation in law. Indeed, such a restriction makes a mockery out of a number of recent Tax Court decisions as well as the deliberations by TAC. inextricably tied together. They cannot be separated. One can’t be determined without the other. Any effort to do so can result in death and criminal charges. Implementing Remaining Budget 2005 Income Tax Measures and follow the applicable link. Please visit our “Tips” section for further information on applying for the DTC. To read of one family’s struggle to obtain the DTC go to “Our Story”. Click here to see if you qualify for the Disability Tax Credit.